So you want to travel this summer, have you considered getting there by bus? 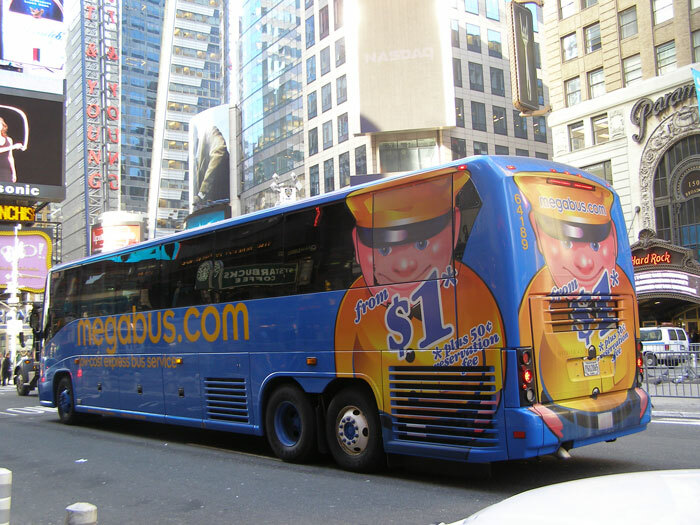 Both MegaBus and Boltbus were launched in 2008, which was an excellent time to attract recession-stirred folks looking for alternative modes of travel. Offering modern buses, outlets, free Wi-fi and extra legroom these buses quickly became the ideal choice of transit for college students, penny-pinching backpackers and even entrepreneurs who frequent major cities for business or pleasure. Recently, they have become extremely popular with the white-collar population, who can set up their on-the-road “office” with ease and comfort. Consult the Federal Motor Carrier Safety Administration (FMCSA) website for detailed information on which companies operate buses legally, and for safety scores for each. The Look- A sleek double-decker design equipped with tables and cup holders. Serves the US, Canada and the UK. Destinations- Boasts more destinations than Bolt Bus, covers various important cities on the East Coast, and stretches as far as the Midwest. Price- Fluctuates depending on amount of travelers. Completely dependent on the day of the week and time of day, but does claim to have $1 fares for those who book first! Rumors- Drivers have been known to leave people at “rest stops” and have to eventually turn back around to pick them up. On any given ride, your bus might be as hot as Hades or as cold as Antarctica. Destinations- Spreads love to major East Coast cities like New York, Philadelphia, Washington DC and Baltimore. Price- Runs on same theory as MegaBus. Additional perk: Take 4 round-trips within a year and 5th one is free! Rumors- Some riders have acknowledged they have stiff seats, temperamental Wi-fi, and the occasional smelly bathrooms.